Spider Solitaire, one of the most popular variants of Solitaire card games, now is free! This free patience game gives you the opportunity to play a must have card game! Solitaire has been around since the dawn of time, but this free version ups the ante by adding sharp, realistic graphics and a superbly designed game board. If you love Windows Spider Solitaire, you're going to love this free Spider Solitaire even more! Download Spider Solitaire today and remember why this challenging card game is considered one of the best in the world. Free Game Features: - 12 Most Popular Spider Solitaire Card Games; - Amazing Graphics; - Relaxing Soundtrack; - Solitaire Game Statistics; - Full Version Spider Solitaire Card Game. 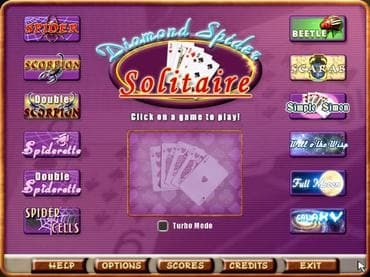 If you have questions about Spider Solitaire game, please contact us using this form.